Ants are social insects that live in colonies which are located in the ground, but may enter buildings for food and/or shelter. Ants feed on practically every kind of food, but those entering homes are looking for sweets and/or protein-containing substances. Ants are usually divided into two groups based on their typical nesting preferences, either wall-nesting or ground-nesting ants. The five most common wall nesting ants are the Carpenter Ant, Crazy Ant, Odorous House Ant, Pharaoh Ant and the Theif Ant. The most commonly encountered ground-nesting ants are the Argentine Ant, Pavement Ant, Little Black Ant, Velvet Tree Ant and Fire Ants. Ants can be effectively controlled by using a variety of professional products, such as Bait, Aerosol, Dust, Liquid or Granular insecticides. Bait products are the most effective when ants are in the home and you're not sure where they are coming from, or they seem to be in several different places. Aerosols and Dusts, kill ants on contact in wall voids and along baseboards. 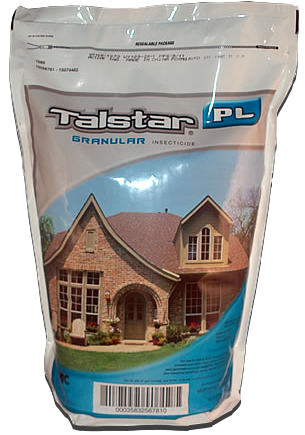 Liquid insecticides and Granular insecticides are great for killing ants in lawns and landscaped areas and for placing a barrier around the outside of the home to kill ants before they enter the house.